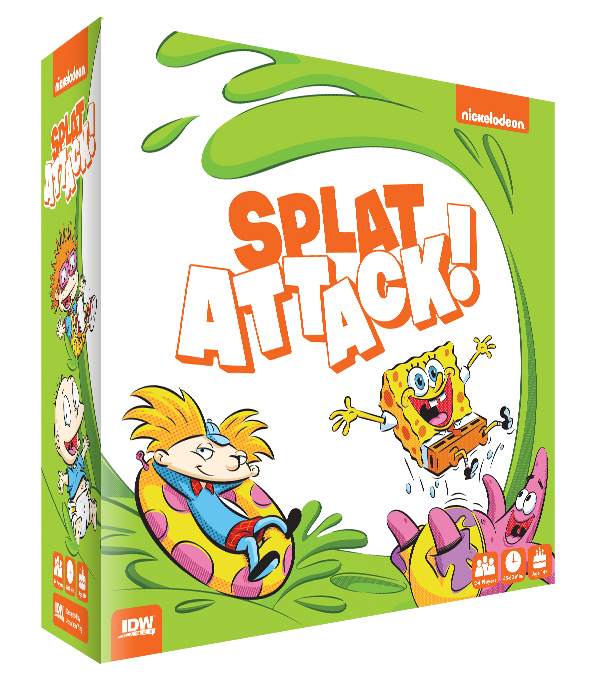 Nickelodeon’s Splat Attack! is a fast and frantic food fighting board game for 2 to 4 players, designed by Jonathan Ying (Star Wars Imperial Assault, Doom The Board Game). Featuring characters from SpongeBob Squarepants, Invader Zim, Hey Arnold!, and Rugrats! 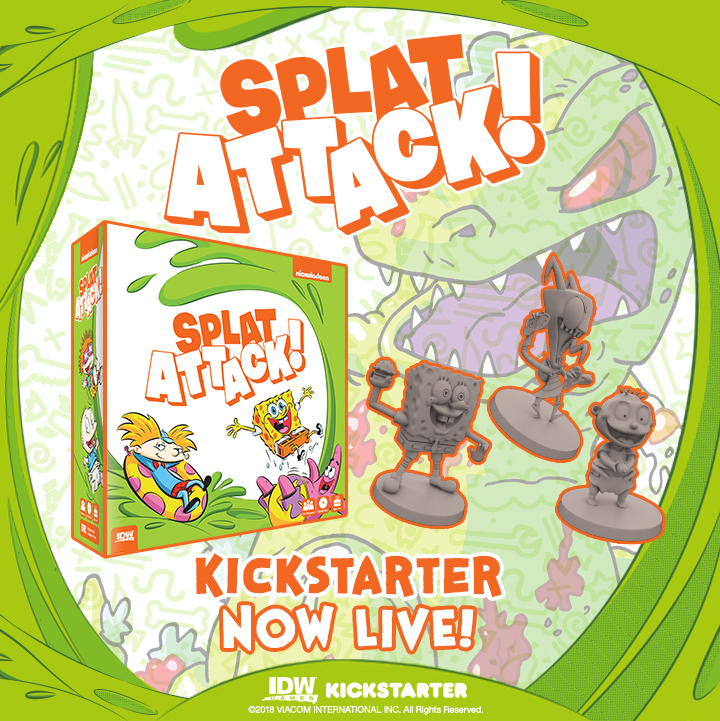 In Splat Attack, players will take control of a team of 4 characters, grab a hand of food cards, and load up their team with Cool Points. Cool Points range in value from 0 to 3 points, and can be stolen from your characters when they get hit with food! 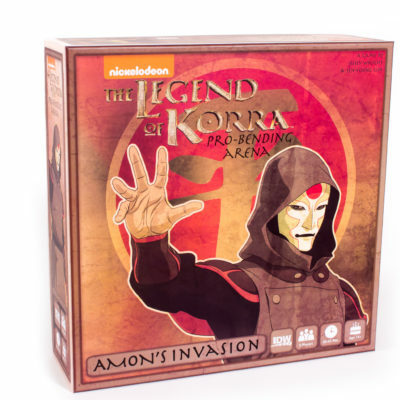 However, additional Cool Points can be collected by reaching key locations on the game board. When hit with food, splat tokens must be placed on the defending character. Placing these tokens strategically will be key to your success, as your character’s grid space is limited. Once a character’s grid is fill, the character is splatted and out of the game. Players that are able to get the last hit in and splat a character, earn a golden Cool Point. 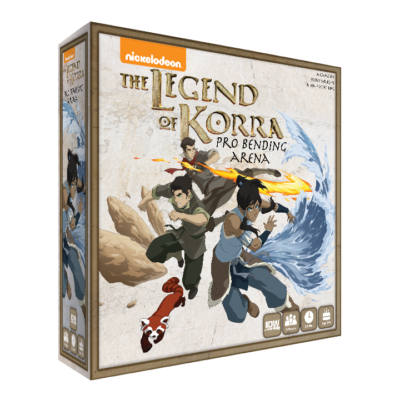 Once the last golden Cool Point is taken, the game ends, and all players add up their Cool Points to determine a winner. Category: Splat Attack! Tags: Jonathan Ying, Nickelodeon, Splat Attack!